Getting started is just easy..
We are a progressive Singapore-based company specializing in CAD Management and drawing conversion services . 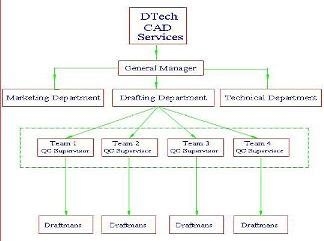 Since 1997, DTech Advanced Technology has been providing technical services to serve the documentation needs of our local and international engineering community. Our clientele includes engineering firms, consultants, architects, shipyards, facility managers, utility and automobile companies from the USA, Europe, Australia, Canada, Malaysia and Singapore. Resently, the Building and Construction Authority (BCA) has appointed DTech as a CORENET e-Submission service bureau. 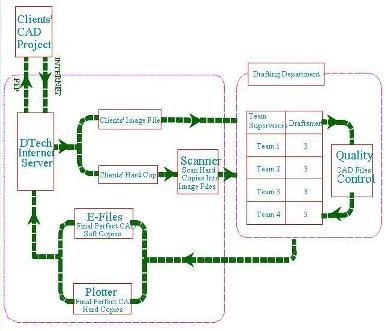 This appointment has made us a one-stop CAD Service Bureau for your documentation and drafting needs. At DTech, we specialize in precision conversion and drafting services for architectural, interior, construction, site survey, mechanical and electrical engineering drawings as well as distribution networks for utilities such as electricity, marine, oil, gas and water. With our dedicated professional draftsmen highly equipped with the knowledge of drafting technologies such as AutoCAD, AutoCAD Map, Microstation and high production volumes, YOU, our client can expect top-notch service & production standards without the associated high costs. ~ Deep East Texas Electric Cooperative Inc.
~ Wire & Associates Inc.
~ Team Sheet Metal Inc.
~ Planon System Solution Inc.